James Lawrence Breese (1854-1934) was a wealthy stockbroker and renowned amateur photographer with a spectacular country home in Southampton. Supported by a fortune made in finance at his firm Breese & Smith, his real passions were photography, art, automobiles, racing and architecture. As seen here, he participated in the Ormond-Daytona Automobile Races and was a commissioner on the first two Vanderbilt Cup Race Commissions. 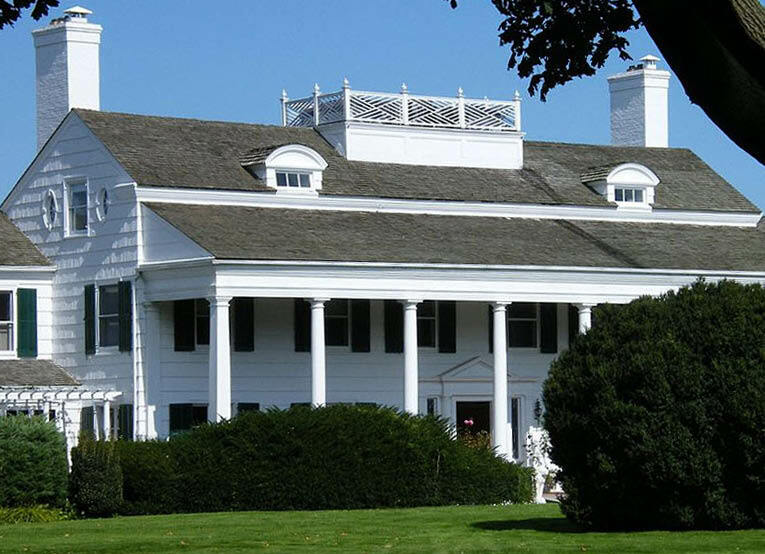 James Breese's Southampton's house called "The Orchard" was one of the most prominent estates in the Hamptons and the United States. Built from 1895 to 1906, it was designed by McKim, Mead & White with Mount Vernon as the model for the main section. 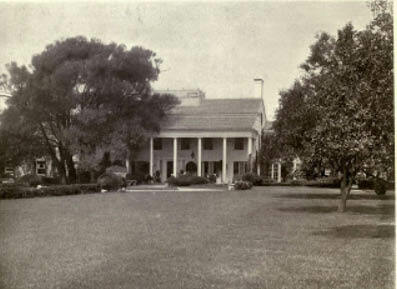 In 1916 Country Life listed it as one of "The Best Twelve Country Houses in America". 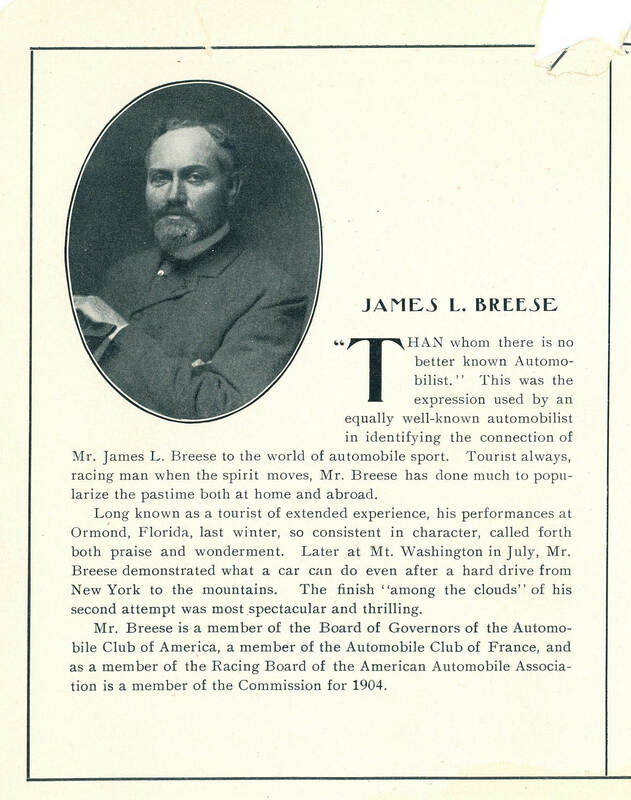 The Program Guide for the 1904 Vanderbilt Cup Race profiled Breese, a member of the Race Commission, and noted; "There is no better known Automobilist." Breese (left) in front of the Press Box/Officials' Stand on Jericho Turnpike in Westbury. Referee William.K. Vanderbilt Jr. was standing behind him. 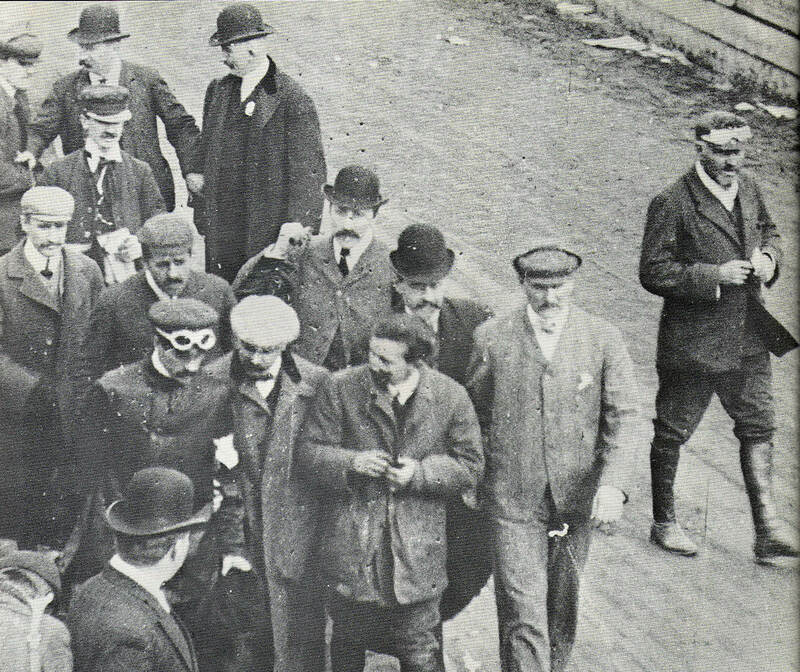 To Breese's right, driver Albert Clement Jr. was making his case to Vanderbilt that he had won the race. His protest failed and Clement finished second. 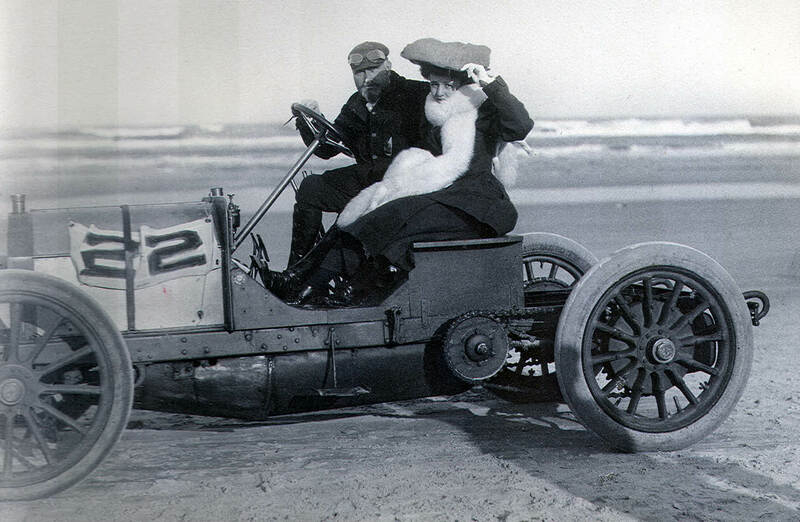 James Breese and his wife or daughter at the 1905 Daytona-Ormond Automobile Races. 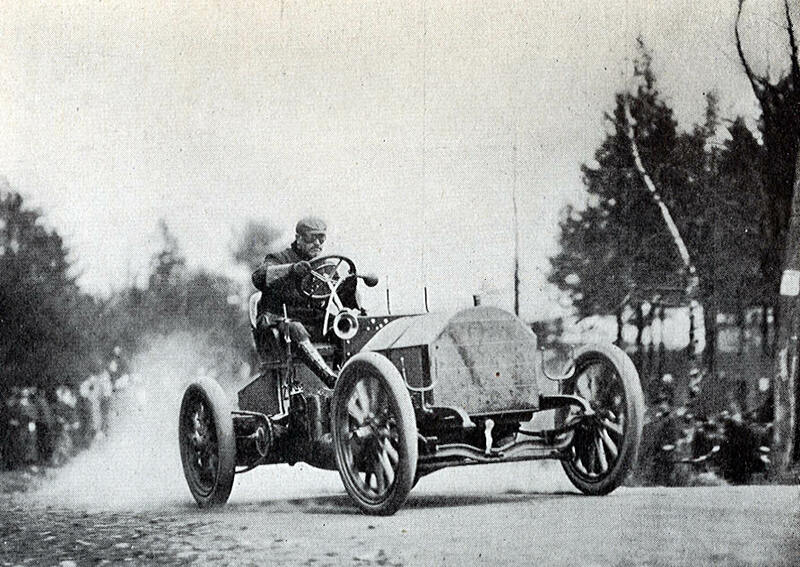 James Breese participating in the 1904 Eagle Rock Hill Climb held in Edison, New Jersey. 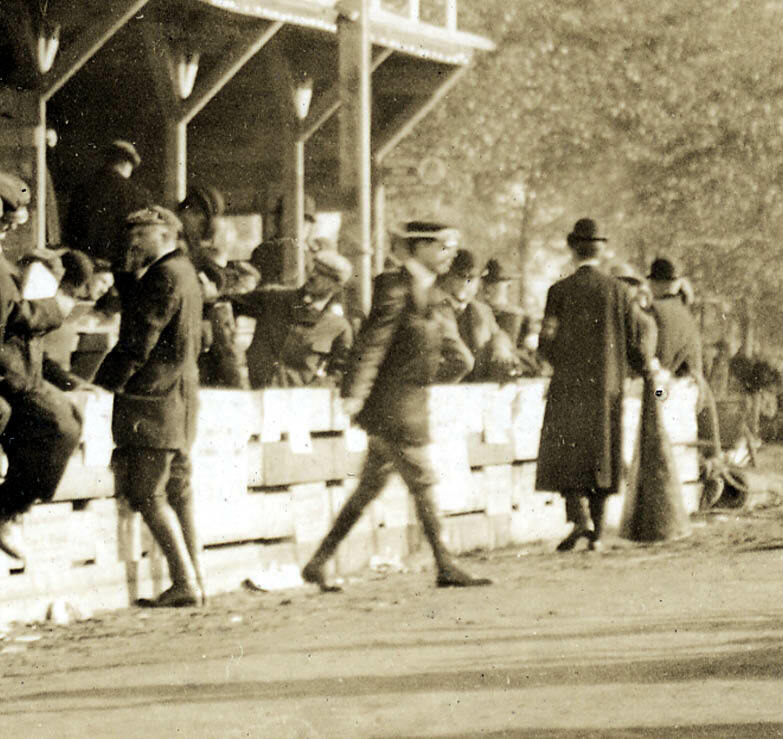 For the 1905 Vanderbilt Cup Race, Breese returned as a commissioner on the Vanderbilt Cup Race Commission. 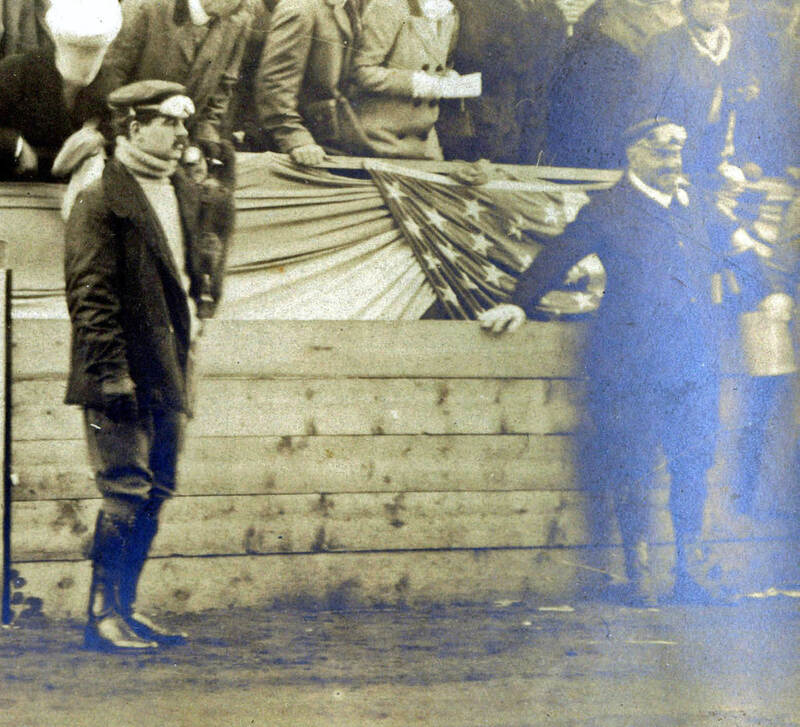 He can be seen here (right) at the starting line next to referee William K. Vanderbilt Jr. 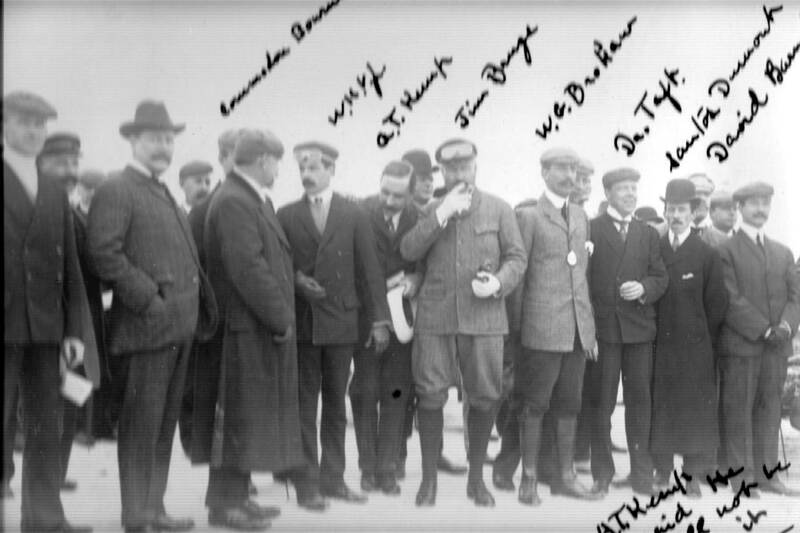 In the December 25, 1934 obituary, the New York Times noted; " n the sporting world, Mr. Breese constructed and operated racing cars which he entered in the popular races...He introduced the hobby of amateur color photography to this country." Breese' Southampton home was included in 1980 on the National Register of National Places. It stands today at 151 Hill Street as a condominium and townhouse complex. 1915 Country Life "The Home of James L. Breese"
Library of Congress photos of "The Orchard"
Is this the same Breese who built the very small race car, pictures of which the Bridgehampton Historical Society has on file? From about 1920, I think. That car showed up at the Bridgehampton Rally about 5 years ago; don’t know who owns it. When I saw the name Breese the first thing I thought about were the Breese Carburetors of some years back. Maybe James or Sidney had something to do with the development of these carburetors. Any comments? “Thank you Howard .. a few years ago it was very very exciting to come across this film and see him walking along the road there. It was like seeing a ghost. - Sidney will be the “B” of B.L.M. Motor Car Co. (Charles Lawrance and Andrew Moulton). - James Jr will be the chief engineer of the Curtiss NC4, the first plane to cross the Atlantic Ocean with stopovers in 1919. - Robert will be in 1911 the builder of the roadster ” Breese Paris “, realized in France with a french engine Ballot.